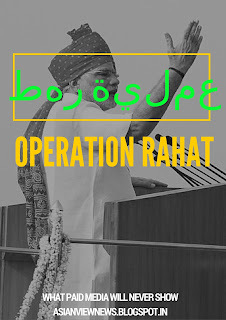 Operation Rahat an initiative take by Modi Government helped have thousends of Indians and many forign nationals including Americans and pakistanis. This news never got any big coverage in media but the intolerence coverage is not stopping even after few months now. Will the Indian media ever show this video? Commendable job by Modi Government. Even American channels have appreciated but not Indian channels who are more focused on Negative sentiments to take care of their TRP ratting. Shame. I am a Proud Indian. Hats off to Government of India.